To build on Team GB's success in Sochi SportsAid has today announced £30,000 of support over the next three years for aspiring skeleton and bobsleigh athletes who hope to compete at a future Olympic Games. The charity is now looking for partners to match-fund this commitment to ensure more support can be given to the country's best young athletes in these sports. Former Olympic skeleton champion Amy Williams welcomed the news saying, "This will make a huge difference to these athletes. It would be great if you felt that your company or business would be able to team up with SportsAid and match what the charity has given. The next generation are under huge financial pressure and to realise the potential that Sochi showed us, funding like this is vital." "British Bobsleigh and British Skeleton tell us that around 20 of their young athletes need SportsAid's help each year," explained SportsAid's Chief Executive Tim Lawler. "SportsAid has committed to support them but we need more help to ensure the next generation can achieve their ambitions." As a former Talented Athlete Scholarship Scheme athlete, Amy benefited from SportsAid's support herself just four years before she won a gold medal at the Vancouver Olympics in 2010. 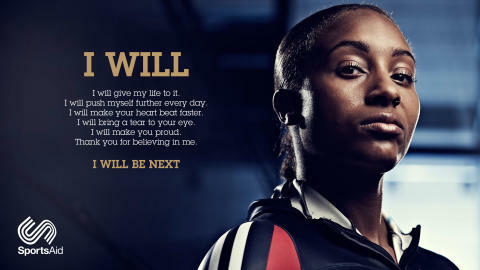 She added, "SportsAid and TASS have helped so many athletes and for me, at that stage of my career, it was a huge boost. It confirms that you are on the right track and that somebody outside of your circle believes in you, and that’s something you never forget." If you are interested in supporting aspiring skeleton and bobsleigh athletes with SportsAid contact Graham Dandy at the charity on 020 7273 1977 or email graham@sportsaid.org.uk. Jor'dan McIntosh from Derby is one of the athletes who will benefit from today's announcement (copyright SportsAid). 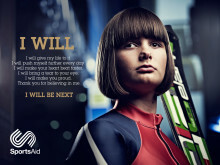 Call Simon Worsfold at SportsAid on 020 7273 1734 or email simon@sportsaid.org.uk. SportsAid is a national charity (#1111612), established in 1976, which helps young British sportsmen and women who aspire to be our next Olympic, Paralympic, Commonwealth and world champions. The athletes supported by SportsAid are typically aged 12 to 18 and are among Britain's brightest hopes for the future but face huge challenges because they receive no other direct financial support. SportsAid Awards are typically £1,000 a year per athlete. They are funded by the charity's donors and supporters to recognise athletes' achievements and help them meet the high costs of training and competing, which are their greatest barrier to success. SportsAid ensures the right athletes get the right help at the right time by working with the governing bodies of around 70 sporting disciplines to identify those with the greatest potential. As well as providing SportsAid Awards, the charity also manages the Talented Athlete Scholarship Scheme (TASS), which specifically helps athletes in higher or further education.